We here at @MojaveGoldLLC absolutely love cluster raisins! Most people are seeing our raisins in a clam-shell at stores like Whole Foods and boutique stores. For those of you who are addicted to our hand picked-washed-packed cluster raisins – we have great news, you can buy in bulk directly on our website! Great for chefs, party packs, weddings, and more. This large box contains 10 lbs of beautiful and delicious dried on the vine cluster raisins. They have many applications, here are a few. 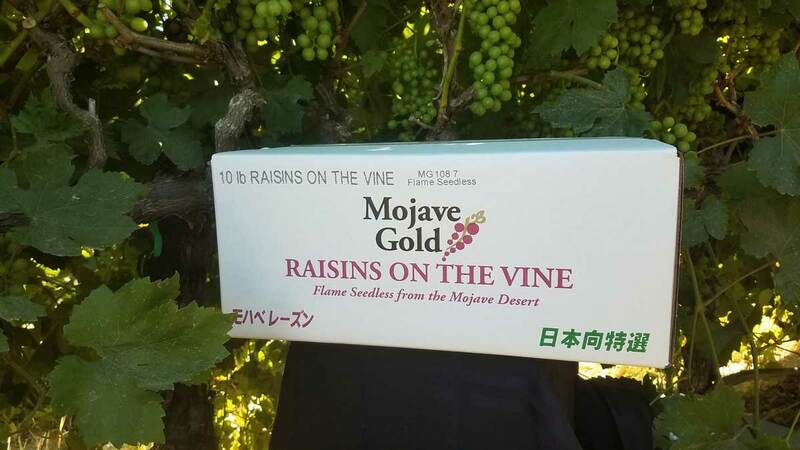 Make your event stand out with the highest quality and best tasting raisins from California. Its also perfect for couples looking to make their wedding stand out by offering them at the event as a snack or re-pack them as party favors! By buying in bulk they come nicely layered making it easy to use or repackage. Our raisins are great for cheese plates to pair with wine or a garnish for a high end dish. The artistic beauty of the raisins still on the vine will help embellish the plate and increase your value. Are you making gift packages to giveaway or for resale? Adding in some of the best tasting cluster raisins from California will be a huge win for your gifts. However you plan to use it, we are here to help you. Give us a call or order online right away.